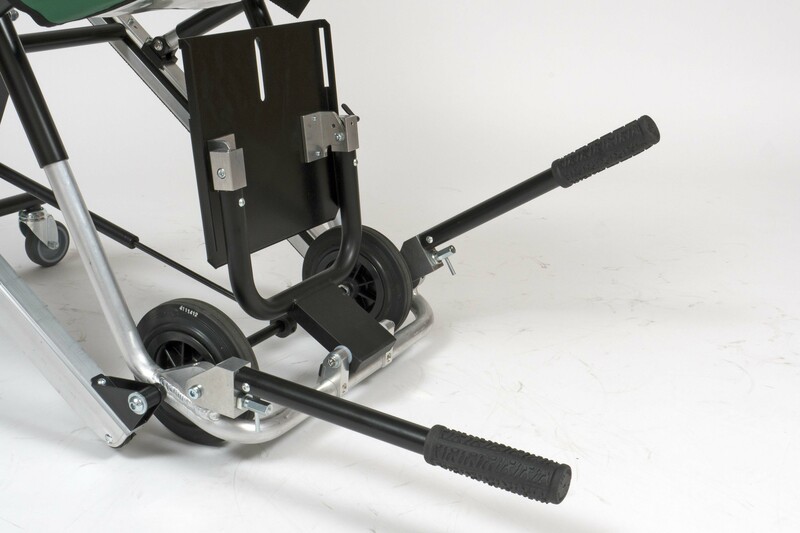 The XS model is used when the other models are too wide for the available space. 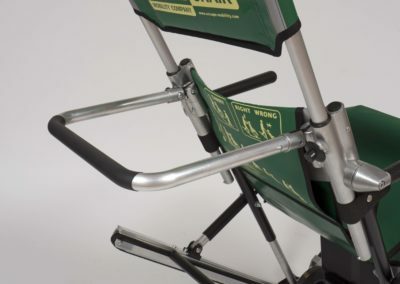 The Escape-Carry Chair® XS is also suitable for evacuating an evacuee up the stairs by means of the carrying bracket and carrying handles. For instance in buildings with narrow corridors and/or staircases, or airplanes. 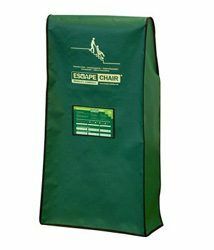 The Escape-Carry Chair® XS is ideal for narrow staircases or corridors like airplanes & airports or old buildings. 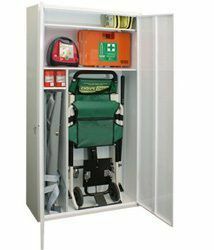 All essential equipment for an evacuation or an emergency, in one central place! 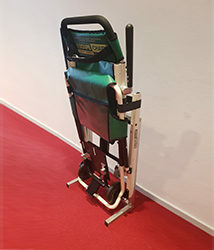 The Stand-Alone ALU is a free standing device with mounting brackets, so that the Escape-(Carry) Chair® can be suspended. 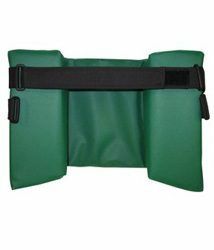 This dust cover protects the Escape-Carry Chair® XS against dust, dirt and direct sunlight. 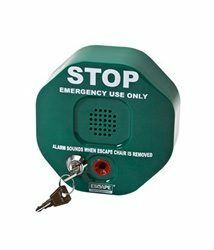 This alarm emits an audible signal when unauthorised persons remove the Escape-Chair® or Escape-Carry Chair® from the wall. 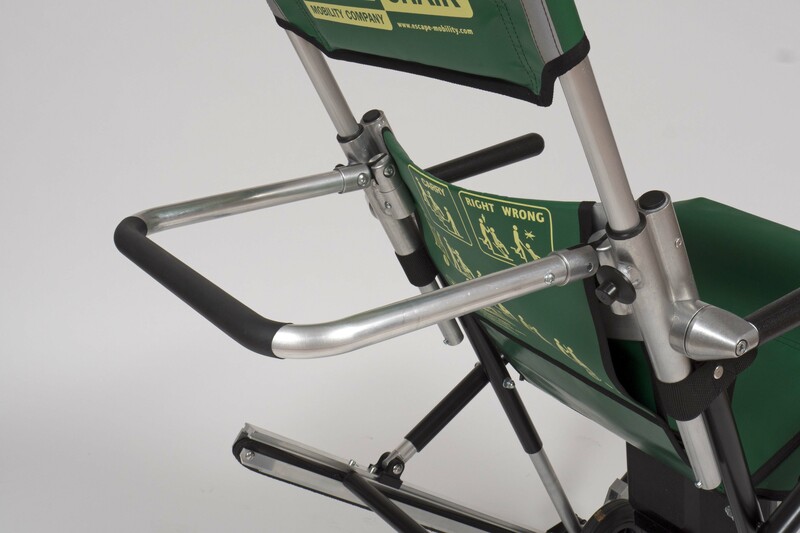 This headrest with extra thickness allows the head of the evacuee to be immobilised and provides improved support. 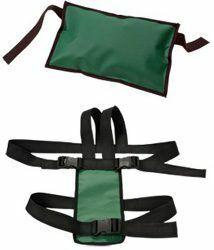 This harness allows extra immobilisation of fragile or unconscious persons during evacuation. 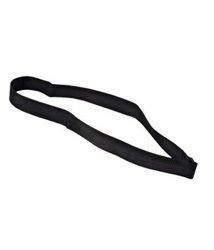 This strap can be used to immobilise the legs of the evacuee. 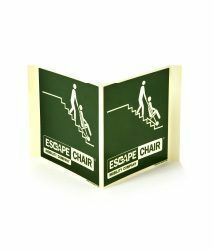 Double-sided identity sign for the location of an Escape-Chair® or Escape-Carry Chair®. 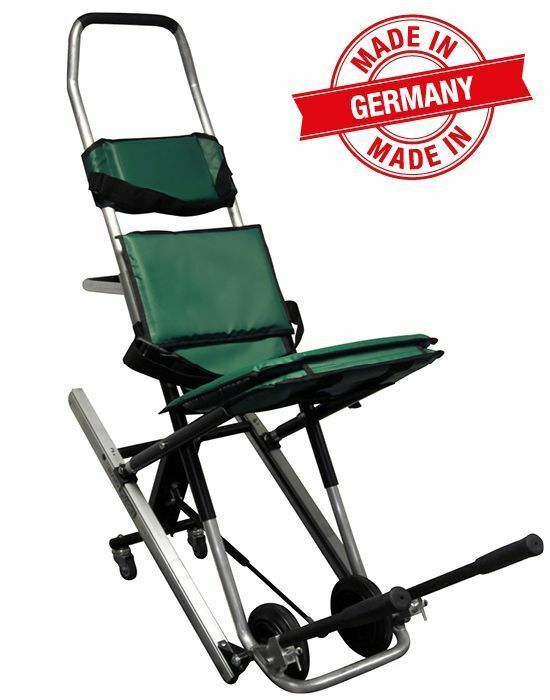 Escape-Carry Chair® with carrying handles, armrests and footrest. 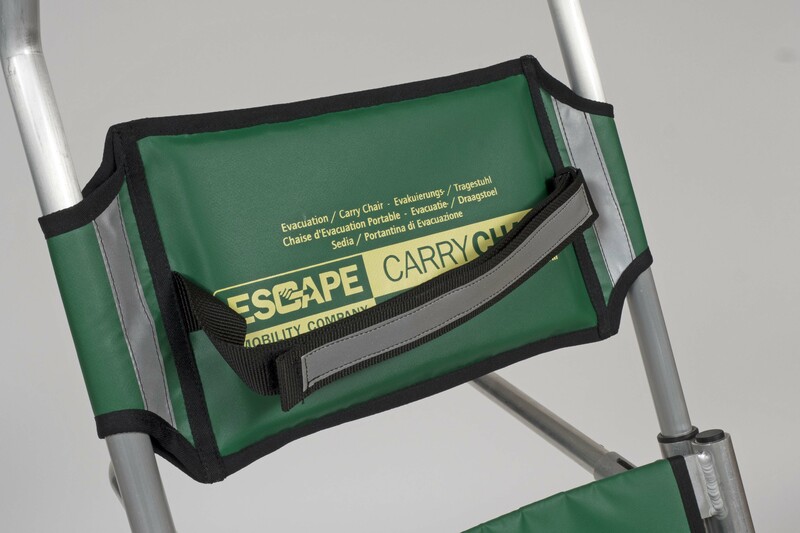 Escape-Carry Chair® with carrying handles. 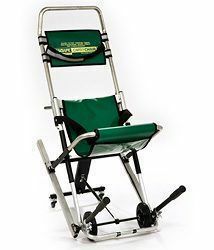 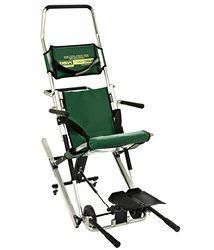 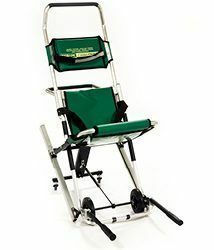 Basic model Escape-Carry Chair® with carrying handles.